“As an organizer of IPTA in Assam” revealed Hemanga Biswas the legendary artiste and IPTA organizer, “my chief duty is talent scouting and to create an environment to develop the talent of the artistes. A flower blossoms on its own, but the duty of the gardener is to supply water to the plant and protect it from cattle. I am such a gardener and the magnificent wild flower I discovered in Assam is Maghai Oja.” Once discovered and mentored by Hemanga Biswas, Maghai Oja took no time to be closely associated with the IPTA (Indian People’s Theatre Association) movement during his adolescent period and from the very start, he could earn widespread fame by playing the dhol. The meeting with Biswas had provided Maghai the bigger platform of the IPTA. The philosophy of the IPTA had a deep impact on the dhol wizard. A folk artiste who held the people spellbound with his dhol recitals had now transformed into a mass artiste. The basic philosophy of the IPTA lies in mass life and mass art. It propounds that mass art is impossible without the participation of the masses. The principal motto of the IPTA is ‘people’s theatre stars the people’. Embracing this ideology, Maghai strove to use the dhol as an instrument of social change. He played on to create mass awareness against social oppression, injustice, conspiracy and deprivation of the downtrodden. On the appointed day, at the Lakshmi Union Bengali Club in Jorhat, Maghai presented dhol recital that broke away from traditions. He sang: “Rajkhone kandise, deshkhone kandise/Sua dangoria/Raijor bolote tumi bolobonta/Kionu pahori jua…” (People are crying, the country is crying, my lord. But you are not showing any concern to the people who have voted you to power). (When brothers quarrel, enemies get the chance to conspire. Likewise, if husband and wife quarrel, a house is in wilderness). Thus, Maghai played the role of an activist artiste. His dhol recitals soothed the strained nerves of the people. 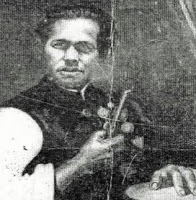 On this performance, Biswas later wrote: “On that day when the learned and intellectual sections of the society were engrossed in communal hatred, the son of a poor farmer family of Assam had evinced cultural conscience with his dhol recitals”. Maghai had spent his entire life in utter poverty. But in spite of his poverty, he did not compromise on the ideals of the IPTA. Till his death, he played the role of a responsible artiste. He had dreamt of a society without poverty, oppression, casteism, communalism and all the other bad elements. (In Majuli, hunger is killing their families, but the indifferent ministers are busy acquiring land in Shillong). We sincerely acknowledge with thanks to Dr Jayanta Madhab Dutta for writing from Editors’ Desk in this issue. Dr Dutta is a film society activist, intellectual, educationist and writer-translator of repute. Known for his translation of Dr D N Jha’s seminal work ‘The Myth of Holy Cow‘ into Assamese and his pioneering role in holding a number of International Film Festivals in Upper Assam, Dr Dutta is an Assistant Professor in English of a government college and currently holding the honorary portfolio as General Secretary of Assam Film Society also. We wish him good health, good things and more accolades in life.